Sarah Nader- snader@shawmedia.com Hampshire's Bobby Dellert (left) and Johsnburg's Jack Clauson wrestle at 126 during Wednesday's quad match against Elgin and Rockford Gulliford January 13, 2016. Sarah Nader- snader@shawmedia.com Hampshire's Noah Lockhart (back) and Johsnburg's Sean Rorig wrestle at 113 pounds during Wednesday's quad match against Elgin and Rockford Gulliford January 13, 2016. 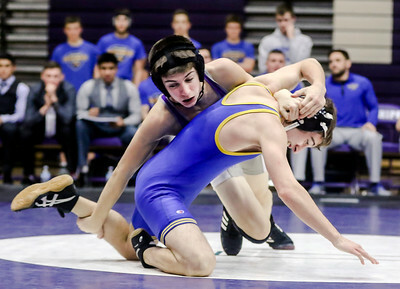 Sarah Nader- snader@shawmedia.com Hampshire's Matt Tobin (left) and Johnsburg's Josh Bybee wrestle at 148 during Wednesday's quad match against Elgin and Rockford Gulliford January 13, 2016. 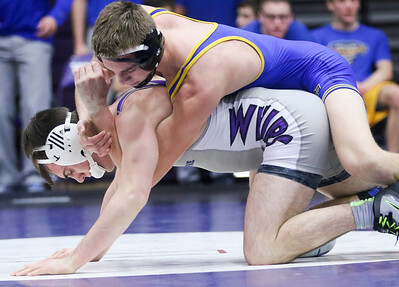 Sarah Nader- snader@shawmedia.com Johnsburg's Austin Butler (left) and Hampshire's Wylie Allen wrestle at 152 during Wednesday's quad match against Elgin and Rockford Gulliford January 13, 2016. 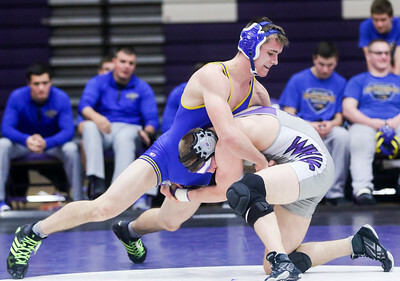 Sarah Nader- snader@shawmedia.com Johnsburg's Joseph Calhoun (top) and Hampshire's Maxwell McGowan wrestle at 160 during Wednesday's quad match against Elgin and Rockford Gulliford January 13, 2016. 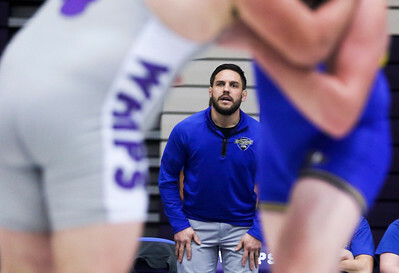 Sarah Nader- snader@shawmedia.com Johnsburg wrestling coach Jon Murphy watches a match during Wednesday's quad match against Elgin, Hampshire, Johnsburg and Rockford Gulliford January 13, 2016. 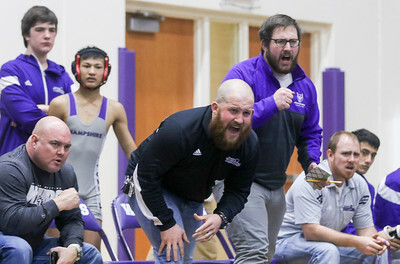 Sarah Nader- snader@shawmedia.com Hampshire wrestling coach Brian Iossi (center) watches a match during Wednesday's quad match against Elgin, Hampshire, Johnsburg and Rockford Gulliford January 13, 2016.